Last weekend, mountain wilderness Switzerland held its annual demonstration against heli-skiing. Switzerland is – sadly – a hotspot for this environmentally damaging “sport”. 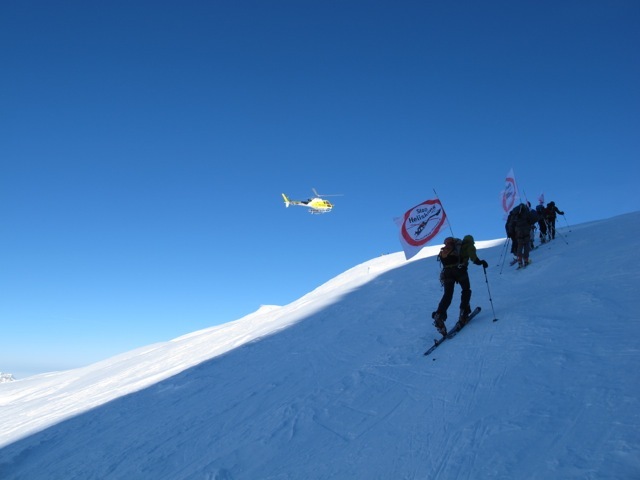 While heliskiing is fobiden in France and Germany and strictly limited in Austria, it is possible to land in the Swiss Alps at no less than 42 spots, of which half are positioned within ore directly adjoining to protected areas. mountain wilderness Switzerland calls for a delisting of those landing spots that are within protected areas, in particular those within the UNESCO World Heritage Site “Swiss Alps Jungfrau – Aletsch”.